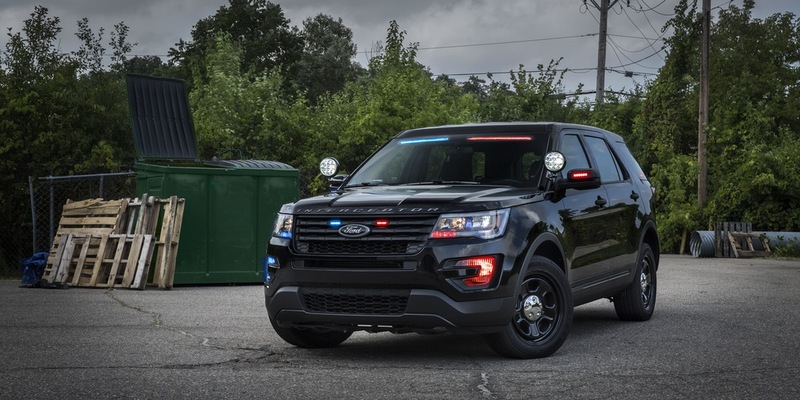 Recently Ford announced they have a new low profile emergency light design for their police vehicles. Personally, I think they are a pretty cool design. Discrete when not in use, yet very visible when in use. Not to mention they just plain look cool. But quite a few online have their collected undies in a bunch over them. It seems many believe that all police vehicles should be painted in glow in the dark colors so the general public can see them from a county away. Otherwise, so I've been told, the cops are just sneaky underhanded revenuers who are looking to turn a profit by issuing speeding tickets. I read one comment online that stated if "all police cars were brightly painted, people would obey the laws when they saw them, so the cops wouldn't have to right tickets." Here's an idea, why don't we just follow the traffic laws that are in place for our safety, if a squad car that is painted safety yellow is present or not. I guess that person feels they should only be honest when they know someone is watching. Personally I like to think the majority of us have the ability to behave civilized without the need of an authority figure present. But hey, I'm kind of the person who take responsibility for his own actions, so what do I know. That is kind of the point of an unmarked police cruiser. To blend into the public and stop people who can not follow the rules while they are in the act. As long as the laws they enforce or within the limits of our Constitution, what could possibly be the problem? But by far the funniest comment I saw online was someone saying unmarked cars are against international law. The person went on to say if a foreigner was need of assistance and was unable to flag down a Police Officer because they could not see them, the foreigner could sue! Okay, after we all stop laughing at that one, let's think about that one. First, I've never heard of such "international law" and I'm not going to bother wasting my time researching it. If it was real, I'm sure some bleeding heart would have made enough fuss about it to bring it to all of our attention by now. And if it was "international law" no one should care.We are a sovereign national made up of united yet individual states who govern themselves. Secondly, an Officer in an unmarked car would not drive by an accident or other disabled vehicle without stopping to help. Or at a minimum call it in to dispatch if the Officer was already responding to a more critical situation. But just for the fun of it, lets say it is against the law for a police cruiser to be unmarked. Not only that, but a person could sue because they could not flag down a police officer because the could spot the police cruiser. How the hell would they know a cruiser went by if they could not spot one to begin with? I've confessed a long time ago that one of my guilty pleasures is reading the comments posted to online article about hot topic items. It's a lot of fun for me to just set back and laugh at the stupid. I don't see how low profile emergency lights can be a"hot topic" it has became. Perhaps I need to be angry at the man for writing me a speeding ticket for going 15 mph above the posted speed, simply for the profit it generates.